Standard - $98.99 X-Large - $98.99 Only 6 left! There is one Sith Lord who is known to be able to strike fear in the hearts of anyone he meets, Darth Maul. This dark and mysterious evil doer has made it his mission to seek revenge on the Jedi order. He will not stop until he has done his master's order of taking out Jedis Qui-Gon Jinn and Obi-Wan Kenobi. 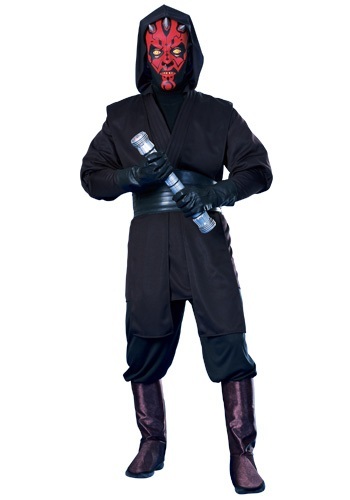 Now you can pretend to take on Darth Maul's mission of darkness in this great Star Wars costume.